Rhyming can be a tricky skill but an important one for developing readers. A few months ago my daughter started to show an interest in rhyming words. We would talk about words that rhymed and when she'd give an example we would talk about why that rhymed or didn't rhyme. She has started to catch on and we often will try to see how many words we can think of that rhyme with a particular word while we are in the car. She still will come up with nonsense words but at least now they are rhyming! I decided to make her a rhyming game with a penguin theme for some fun literacy learning for the winter. I created two versions of this game - one with words and one without. Because my daughter can't read yet, I initially created the version without words. When I printed it out, I realized I needed a reminder of what some of the words were so I decided to use the version with words. I figured this would also be a helpful version for students working on CVC words that can read the words. For our first attempt at this game, I decided to use the penguin cards without words and the ice cubes with words. To get started, just print out the penguin cards and the ice cube cards and cut apart. You can laminate these for durability especially if you want to use them more than once. For each penguin, there are two ice cubes with words that rhyme. Because this is still a new skill for my daughter, I didn't want to overwhelm her with all the penguins and and the ice cubes. We started with just four penguins and the eight ice cubes that went with those four. We went picture by picture and talked about what the word was to make the rhyming part a little easier. My daughter kept getting frustrated with me telling her the words because she "knew" them already. I explained that sometimes there are different ways to say the same thing - like when she called it a "plane" but for this purpose it was a "jet." Once we went through all the words, we continued repeating them and listening for which words rhymed. When she found the cube that matched, she would stack it up next to the penguin. By the last set of cards, she wanted to do everything by herself including going through and "reading" the words to me. This will definitely be a game we can continue to play and review. 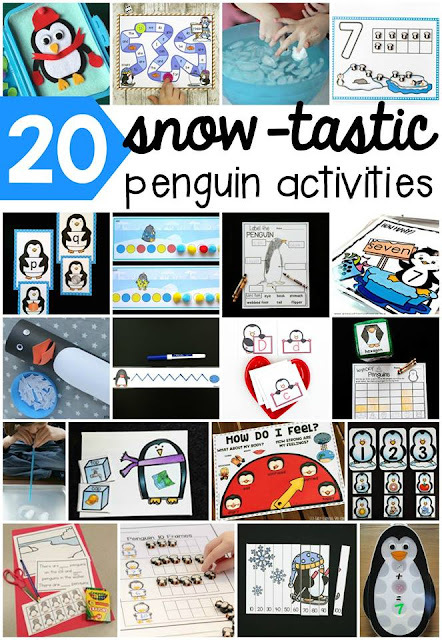 For older children who need more of a challenge, you can give them all 14 penguin cards and all 28 ice cubes and let them find the rhyming matches. Are you ready to give it a try? 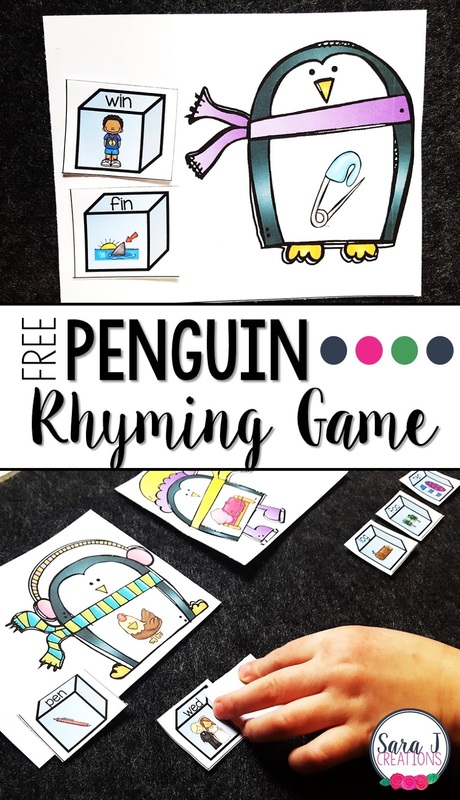 I've made our Penguin Rhyming Game a freebie for you! Just click the "click to download" button below, enter your information and the game will be emailed right to you. Looking for more penguin ideas? Check out some of these awesome bloggers and their ideas for penguin themed learning. 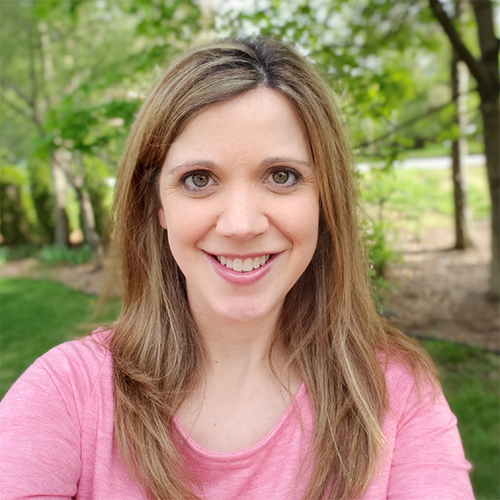 Thank you so much for sharing your wonderful, fun and helpful printables!